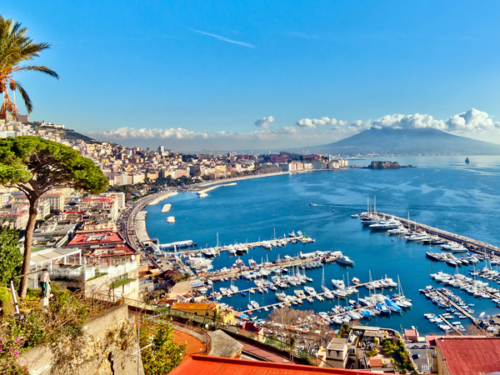 The tour starts with your pick up in Sorrento, and continues along the scenic route along the Sorrentine peninsula onto the motorway to Pompeii. Your guide will assist you at the ticket office to enter the site. Enjoy a guided tour of the site. Hot volcanic ash fell upon the city and its people, creating stone casts of the dead and their belongings. 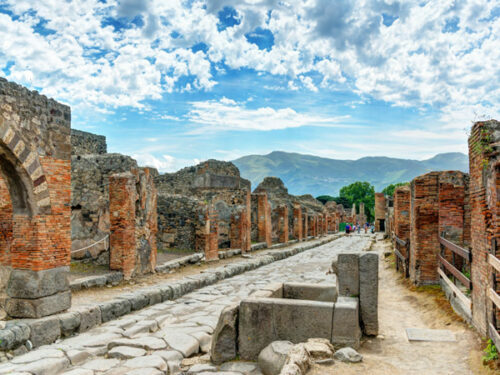 You will relieve the daily life of the Pompeian, as your guide takes you through the ruins of this ancient city. 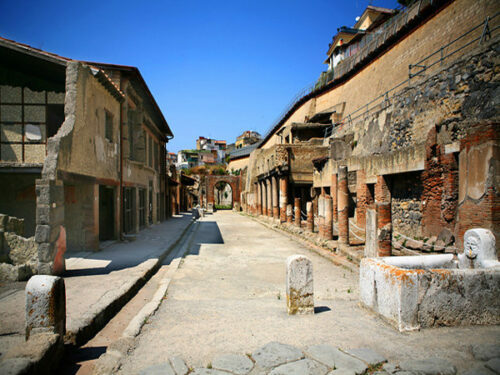 Remains of homes, baths, bakeries and the arena will give you an insight into the daily life of a bygone people, including the Temple of Vespasian and the Via del Sepolcri. 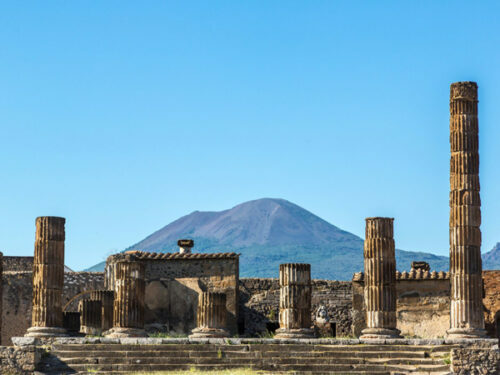 Free time for lunch and depart by coach towards the Mount Vesuvius. The Mount Vesuvius dominates the Bay of Naples. It is the only active volcano on the mainland of Europe. The slopes were once covered with vineyards and woods and provided an innocent looking backdrop for the bustling town below. The coach will take you to within 1.000 meters of the top of Vesuvius and from here you can walk to the very top and admire the splendid panoramic views across the bay. 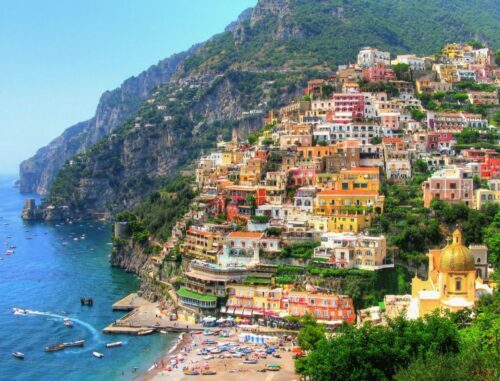 Later you will meet the bus at the car park and then make the journey back to Sorrento.